The Advanced Robotics (FIRST Tech Challenge) Program is for rising high school students in grades 9th through 12th. During this week-long camp participants will work in pairs and learn how to build a competitive robot, a more complex ,and robust robot than LEGO robots. They will also learn to program their robot, both autonomously and with remote controls, and use their knowledge to complete different tasks and challenges with the robots. 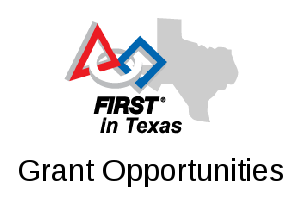 This camp will provide the basics of robot building and programming for students planning to compete in UIL sanctioned robotics competitions. Particiapants will learn basic physics concepts of work, energy, power, force and velocity. This camp also fulfills requirements for the Robotics Boy Scout Merit Badge and the Robotics Girl Scout Badge. Eligibility: Camp is open to all girls and boys who will be entering the 9th, 10th, 11th, and 12th grades in the Fall 2017.